Thank you to all of our sponsors - AdCare, HRMA, and speakers and to everyone who joined us for the special forum! Click Here for keynote presentation slides. The widespread abuse of opioids and other highly addictive drugs remain in the headlines, and when added to the long term issues of other drug and alcohol abuse, it makes for a more complicated and urgent HR challenge. In Worcester County alone there were 238 reported deaths from opioid overdoses in 2016, and while there are some indicators that the number has peaked, that provides little solace to the many lives deeply affected by the epidemic. With unemployment at record lows, the impact of addiction in the workplace is having a real impact on the bottom line. Unfortunately, few employers have the expertise to recognize and act on spotting and dealing effectively when employees have a problem with addiction - most don’t know where to go for help. For companies who employ drug testing as part of their new employee screening process, the legalization of marijuana in Massachusetts represents another set of challenges for employers who need to maintain important safety standards. Between absenteeism, increased workplace injuries and reduced productivity, substance abuse, alcoholism and other addictions are costing employers billions of dollars. What progress have we made since the passing of the State’s opioid legislation in March of 2016, and where is most of the attention now needed? What does the data say about the effect of addiction on the workplace? 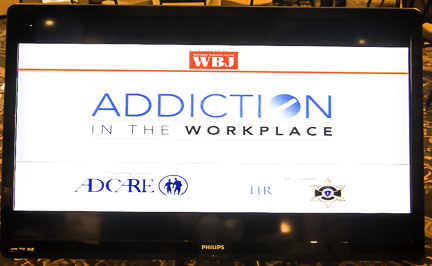 Best practices on how employers are best coping with employees suffering from addiction. What does the state’s legalization of marijuana mean to employers who are currently testing/screening for drug use?